Our attractive and flexible banquet space accommodates a wedding and or reception of 50 to 500. 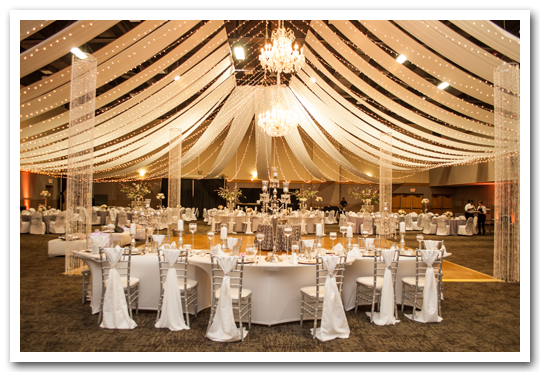 Our wedding planner coordinates all of your RiverCenter details from helping you select the appropriate space to ensuring your candles are lit prior to your arrival on the big day. We know how important this day is, and we work with you to make sure it goes off without a hitch.